This year the event will have a particular focus on Contemporary Women in STEM and #ALD2018 is to be hosted at King’s Buildings with a evening networking event in the social space at the Joseph Black building (wine and nibbles supplied by the Royal Society of Chemistry). There will be a range of guest speakers in the morning followed by fun STEM activities in the afternoon. Full Wikipedia editing training will be given at 2-3pm. Thereafter the afternoon’s edit-a-thon will focus on improving the quality of Wikipedia articles related to Contemporary Women in STEM! This year we will also be hosting a Women in STEM data hackathon. Following on from last year’s panel discussion, to close the day there will be a more informal discussion and networking event. Five guest speakers from a variety of career stages have been invited to say a few words to promote discussion including Dr. Jenni Garden, Christina Miller Research Fellow at the School of Chemistry and Professor Lesley Yellowlees. All four bookable sessions (short talks & activities, HPC Carpentry, Wikipedia editing/hackathon and evening discussion/networking) will be free and open to all. You can book to attend one, two, three or all four sessions. Chaired by Anne-Marie Scott (Information Services). Ada Lovelace Day – Melissa Highton, Assistant Principal for Online Learning. Chaired by Stewart Cromar and James Slack (Information Services). Book here to attend the short talks and activities (via MyEd). Book here to attend the short talks and activities (via Eventbrite). Book here to attend the HPC Carpentry session (via ARCHER website). Creating new pages from 2.45pm-5pm. Book here to attend the Wikipedia editing/hackathon (via MyEd). Book here to attend the Wikipedia editing/hackathon (via Eventbrite). Following on from last year’s panel discussion, this will be a more informal discussion and networking event. Five guest speakers from a variety of career stages have been invited to say a few words to promote discussion inc. Women in STEM Society Committee members, Dr Rachel Barrie, Professor Eva Hevia, Dr. Jenni Garden and Professor Lesley Yellowlees. Wine and nibbles provided by the Royal Society of Chemistry. Book here to attend the evening event (via MyEd). Book here to attend the evening event (via Eventbrite). Creative Commons Attribution licenced (CC BY) ‘tickets‘ icon designed by Maxim Kulikov on the Noun Project. Original icon remixed by Stewart Lamb Cromar. 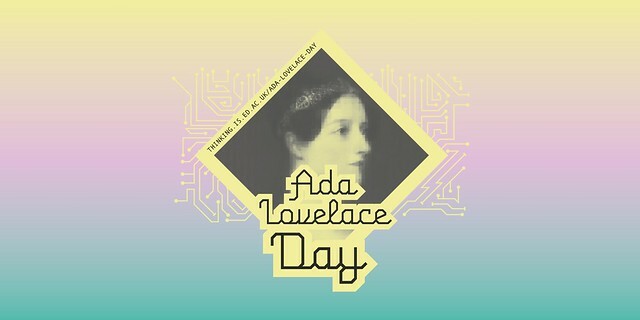 It’s a little over three months until Ada Lovelace Day 2018, which is happening on Tuesday 9th October this year. 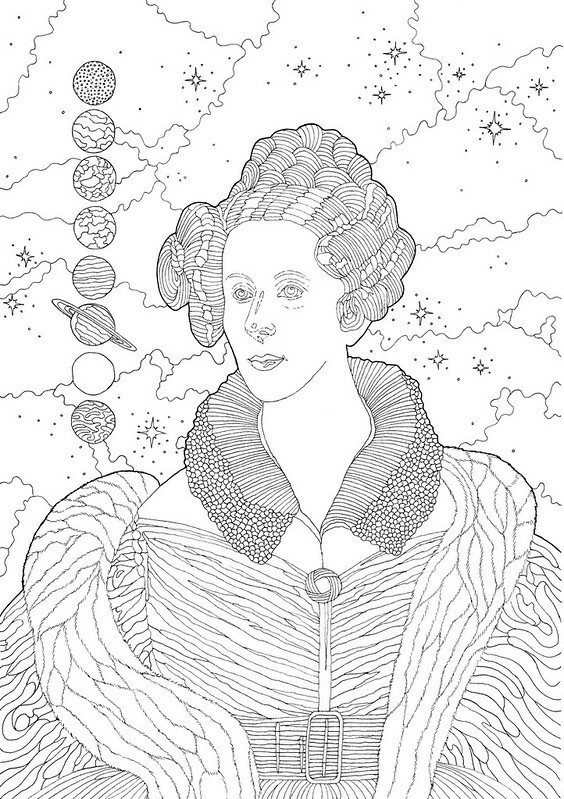 Mary Somerville was a mathematics tutor to Ada Lovelace and this artwork is titled ‘Mechanism of the Heavens’ after her 1830 publication on celestial mechanics.